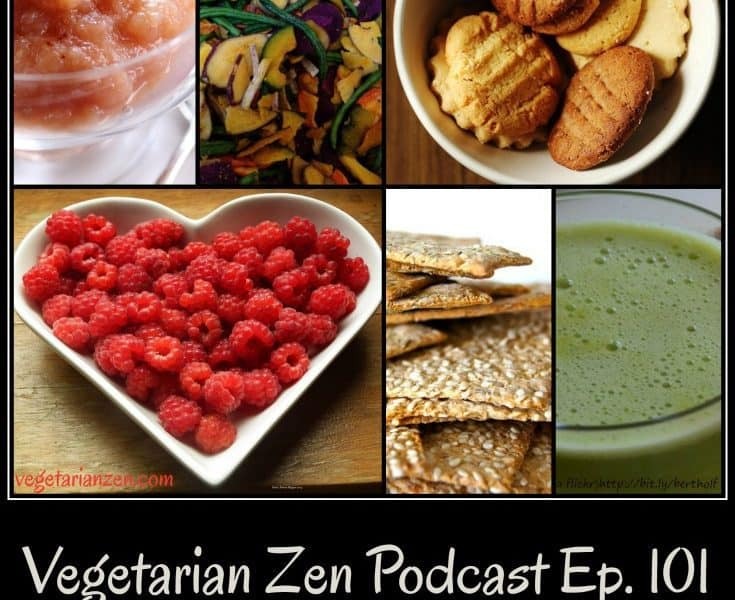 In this episode of the Vegetarian Zen podcast we’ll be snacking, vegan-style. We’ll talk about pre-packaged snacks and ones you can easily make at home. Yum!! What we’ve learned is that if you can make the right decision in the supermarket aisle, it’s a heck of a lot easier to make a good decision when you reach in your cupboard when you’re craving a snack at eight o’clock at night. My favorite vegetarian (not vegan) snacks are: 100% Arabica bean coffee (I grind & make my own coffee) – Columbian, Guatemala, Sumatra, Ethiopia, Brazilian. Sometimes I enjoy using raw or steamed (70% cooked) broccoli or asparagus dipped in my homemade mustard sauce (Frenches Mustard, my homemade greek-style yogurt, ginger powder, cinnamon, cloves, black pepper & tumeric. I might even make a warm salad of the above but add some steamed (again 70% cooked) fresh peas; to which I’ll sometimes add pine nuts or walnuts & even rasins if not also tart dark-purple wine grapes (no table grapes for me) for an added sweetness. Your mustard sauce sounds yummy! I’ve only ever had table grapes, never wine grapes, but I love tart things so I’ll have to try some. Thanks for sharing your comment! Love you guys, keep the podcasts coming. I never looked forward to Sunday’s until I started listening to you! Thanks for sharing your vegan snack find. The name Beanfield’s is familiar. I’m sure I’ve seen it at Whole Foods, so I’ll definitely have to look for these to try. It’s nice that they come in a small size, too. Thanks so much for listening…we’re super happy you’re a part of our community!! Thanks so much…you’re very kind to say so! We’re so happy you’re listening, and hope you’ll become an active part of our community as well. If you are on social media, please find us on Facebook here. 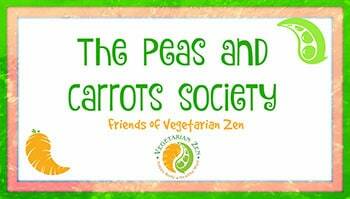 We also have a closed (ask to join) Facebook group called The Peas and Carrots Society, and we’ re active on Twitter, Pinterest, and Instagram. 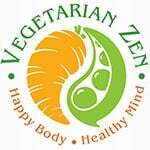 Also, we’d love to have your input for an upcoming podcast episode about men and vegetarianism/veganism. 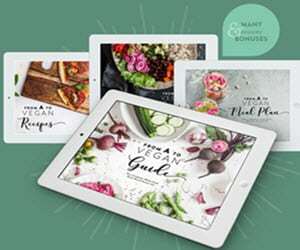 Since many vegetarians/vegans are women what would you say are some of the social or cultural stigmas that might hold some men back from being vegetarian/vegan? Have you experienced any backlash yourself? Thanks again for your support and encouragement. Please do keep in touch and let us know if there is anything you’d like to hear us talk about on the show.